Eggettes? What? Hahaha! 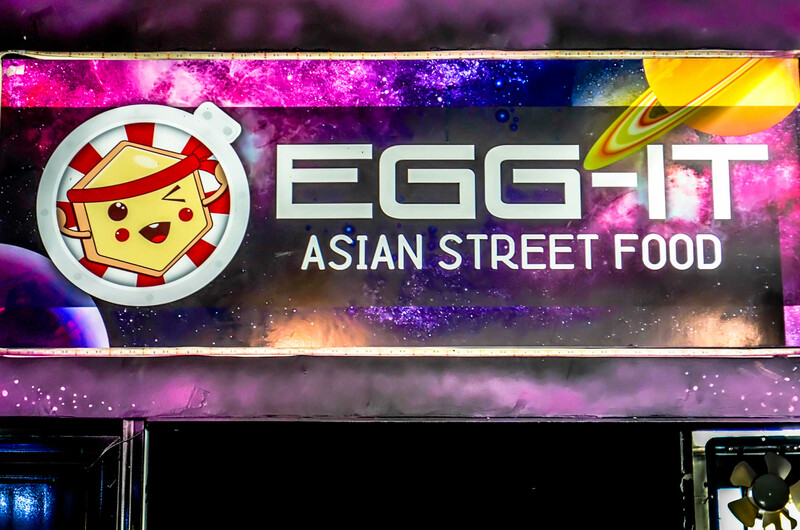 Egg-it Asian Streetfood serves that plus space drinks at Space Food Park. Eggette is an Asian street food. Jay Isais, during a trip with his friends in Hong Kong, saw people buying a funny looking waffle. He just had to try it. The ball-shaped crispy waffles caught his fancy. And yes, after trying it, they brought the idea back home and tweaked it for the Filipino palate. Their stall also serves drinks in bowls, pails and jars awesome for sharing. They even have glow in the dark ice cubes. My family and I had the blue lemonade priced at Php120.